Caption - The metre-gauge coal hauling line from Ponferrada to Villablino in northern Spain had some interesting locos amongst which were two 2-6-0s bulit by Tubize in Belgium in 1950. 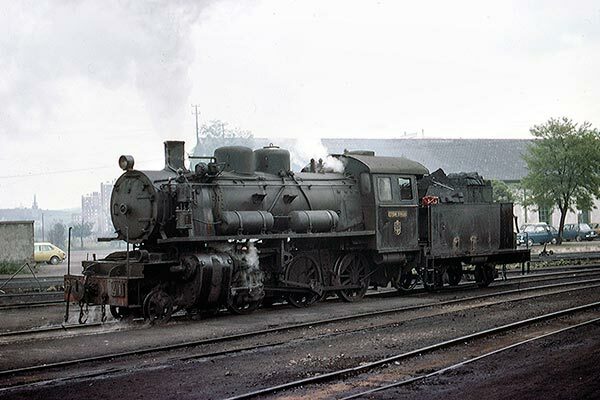 This is the first of the pair, no.41 named 'Esteban Terradas' and is seen at Ponferrada loco shed in pouring rain on 18th May 1977. Note the small 4-wheel tender and the large Tubize worksplate under the nameplate on the cab side.